“We are open to criticism but the action against General Sahib is unfortunate,” A.S Dulat said, while talking to SAMAA anchorperson Nadeem Malik. The former R&AW chief said that he and General Durrani were only talking about peace. He advised the Indian government to invite Pakistan’s army chief General Qamar Javed Bajwa to Delhi for talks. However he forgot to remind his own government stance of no talks with Pakistan, recently so he did not mention Sushma Swaraj's latest stance taken today. According to a tweet by the DG ISPR, competent authorities have been approached to place Durrani’s name on the Exit-Control List. 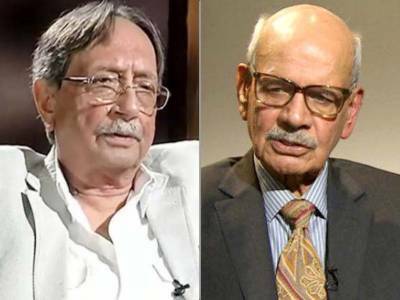 The former ISI chief was summoned to the GHQ where he was asked to give a clarification about the controversial book, The Spy Chronicles: ISI , RAW and the Illusion of Peace that he co-authored with ex-R&AW chief A.S Dulat.